The nonprofit is committed to recycling with the environment in mind. Emphasizing cost-effective and competitive services, Eureka Recycling is a zero waste-focused nonprofit serving Minnesota’s Twin Cities, St. Paul and Minneapolis. 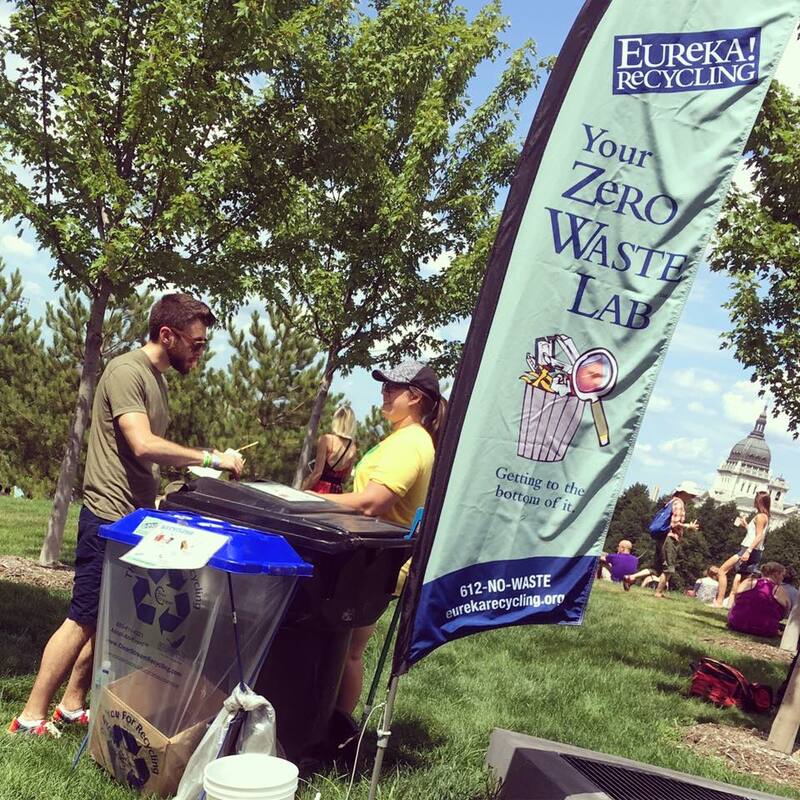 Eureka provides curbside apartment and business recycling collection and processing services, and it offers zero waste events services for community celebrations, gatherings and local festivals in the metro area. The company partners with nonprofits, event organizers and restaurants to host these zero waste events as a demonstration that waste is preventable, not inevitable. Eureka opened a material recovery facility (MRF) in 2004, filling a gap when the county processing facility closed. The organization processes more than 200 tons per day while staying committed to the mission of improving the environment and creating a positive impact on the local economy. The nonprofit organization also uses savvy business practices. It doesn’t subsidize its services with any grants or donations because it’s really trying to demonstrate that you can recycle with the environment in mind, in terms of where you market materials, how you treat the materials to get the highest and best use out of those resources, how you can revenue share with the communities that you serve and how you can pay people a living wage and operate as a social enterprise with a triple bottom line and still make a profit. According to Hoffman, the only difference is that Eureka can invest its profits in its mission work instead of in shareholders. Eureka has maintained its commitment to providing staff with a living wage and benefits from the beginning. “We have been paying a living wage to all of our staff throughout our history, as well as providing benefits such as health insurance and paid time off. That is not the standard in the industry on the MRF side,” says Kate Davenport, co-president of Eureka Recycling. Retaining an experienced staff contributes to Eureka’s ability to deliver a high-quality product. 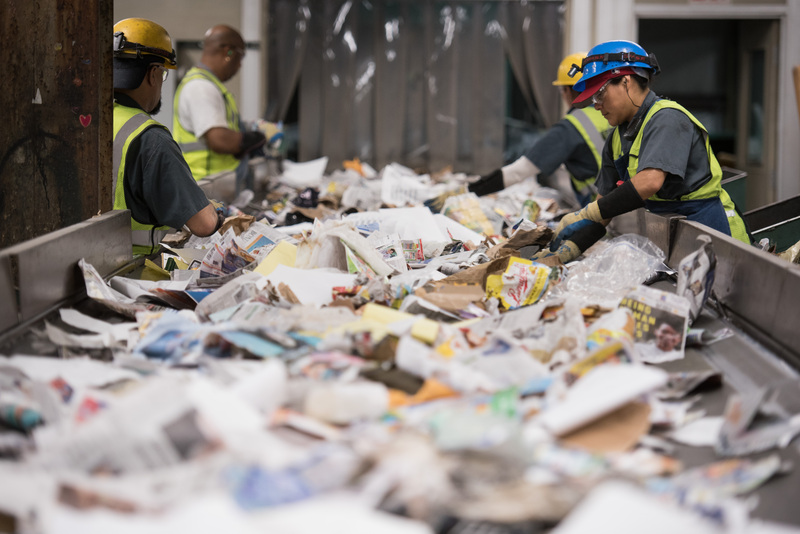 Overall, its residual rate of material that is collected but cannot be recycled is less than 5 percent, with an average of less than 2 percent on materials collected by Eureka’s drivers. The organization prioritizes selling its material locally and regionally to companies with a commitment to making sustainable products that will continue to be recyclable. More than 80 percent of the material stays in Minnesota. “Very little of our material is exported. That’s not because we think exporting is in and of itself bad but because we are trying to have that local economic development impact,” says Davenport. In addition to the slate of ongoing community outreach and education events, trainings and workshops to engage local residents in zero waste thinking, Eureka hosts an annual zero waste summit. The organization also founded the Twin Cities Free Market, a web-based materials exchange program, and its Recycled Paper and Compostable Product Co-op sells 100 percent recycled content paper and certified 100 percent compostable products at competitive costs. Eureka’s leaders see zero waste as a viable strategy for the Twin Cities community. The organization also serves as an advocate for strong zero waste policies and guidelines.